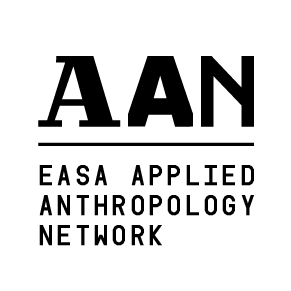 Applied Anthropology Network (AAA) is the main European platform dedicated to the exchange of information and experiences related to practical applications of anthropology and ethnography. It enables a circular transfer of knowledge between academia, private and public sectors, NGOs, interest groups, students and other individuals. The network is part of the European Association for Social Anthropologists. Popularize the value of anthropological methods and theories for practical problem-solving in different areas and sectors. Support the work of applied anthropologists, highlighting and discussing its value in both academic and non-academic venues. Build bridges that foster new cross-disciplinary and cross-sectoral professional collaborations, and increasing the presence of anthropologists in non-academic spaces. Provide a networking platform for mutual support; facilitate job-matching, project opportunities, and guidance to the wide community. Enrich the discipline with experiences and tools that advance and improve our craft to better enable people to interpret and act upon the world. Working towards a world, in which anthropology is a relevant discipline with significant weight in decision-making, policies, and design. Working towards a world, in which anthropological theory and practice in society, business, industry and governance fosters innovation based on people's needs and socio-culturally differentiating factors. Working towards a world, in which presence of anthropologists in non-academic spaces is bold, sought-after and on the rise. Working towards a world, in which relationships between academic spaces and fields of application (NGOs, companies, governments) are supportive and beneficial. The network currently serves 120+ registered scholars active in 30 different countries, 900+ Applied Anthro Collab Group members and 12,000+ social media followers. The Network is run by a rotating team of volunteers that are passionate about applied anthropology, who work collaboratively and remotely. Convenors of the Network are professionally active in academic and/or corporate worlds and deeply committed to the development of applied anthropology across borders. Serving convenors are elected by AAN members for two to up to four consecutive years at network meetings. Maximum number of convenors is five. Convenors need to be paying members of EASA and members of AAN.